How do you begin researching a new topic? Do you reach for your phone, type in a couple of words and hope for the best? 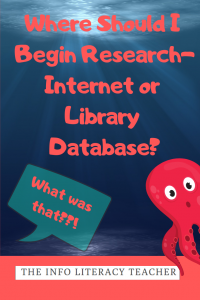 As tempting and convenient it is to jump right into the water and “Google it”, there are benefits for students to start research in a library database. A subscription database is like an Olympic-sized swimming pool. It’s a good place to learn to swim. There are lifeguards (the gatekeepers which review information before it’s published, such as editors, fact-checkers, authors with reputations to protect). The focus is on swimming vs. boogie-boarding, fishing, etc. (Focus is largely on informational writing, which is helpful for learning a new topic). There are floaties to help you swim (kid-friendly writing; reading level filters). The areas of the pool are clearly marked (easier to distinguish between different formats like magazines, reference articles, news, primary and secondary sources, etc). There are staff members ready to offer up a set of flippers to speed up your pace (such as focused, reviewed writing; advanced search tools; subject terms/ keywords embedded in databases to help you locate other sources). The open internet is like the ocean. There are lifeguards (gatekeepers) in some areas along the coast (recommended websites; subject directories, .edu and .gov sites; organizations with a brick and mortar presence and strong reputations). There is no focus to the information (Informational, entertainment, novelty, commercial, recreational, strange and wild information all share space, organized mostly in order of popularity, not by quality of information). There are no floaties (No reading level filters; information is written in a range of complexity, from elementary level all the way up to doctoral dissertations. Do you have your PhD degree yet?). The ocean is not clearly marked (Many beginning researchers tread water for hours, scrolling past related but not relevant sites. Others are swept out to sea by strong, distracting currents of information). You have to keep your wits about you as you peer into the depths. What was that?! (It takes time and critical thinking to distinguish between different types of information and evaluate the author(s) who produce it. This can slow down your ability to find relevant, focused information fast). Library media specialists work with content-area teachers to help students develop information literacy skills at all levels. In middle and high school, students progress in their ability to evaluate online resources of every form, using frameworks such as C.A.R.S. Our efforts in teaching kids to “swim” are made more powerful by your support at home. See here for a tip sheet from Common Sense Media to help kids recognize quality websites. And before they hit Google, encourage them to search a library database first. And, depending on the topic, don’t overlook the tried and true book. Age can have a lot to do with the way we learn. For example, research resources geared toward a high school level student shouldn’t mirror those geared toward a sixth grader and vice versa. Say your tween is doing a report on the topic of abolition and Frederick Douglass. Where should they start to find age appropriate information on the subject? Well, Research In Context, a resource specially created for students at the middle school level, is a great jumping off point. With an interface that delivers the highly visual design and navigation preferred by younger users combined with the authoritative content and user-focused tool set needed to support middle school assignment and coursework, Research In Context is ideal for students in grades 6 to 8. The research tool is simple to use. Plus, any user with Google or Microsoft Account credentials will benefit from single sign-on capabilities. After initial authentication through the library, there’s no need to remember a separate password! Working on the go is also an option with the tool’s mobile responsive design. And, the map tool delivers strong visual callouts for users accessing maps on mobile devices. For example, a student could type, “abolition” and “Frederick Douglass” in the search box and a variety of images and information on the topics would be displayed with content written explicitly for middle schools. Social studies and world history aren’t the only topics Research In Context covers. The resource tool is cross-disciplinary in nature—spanning literature, science, and social studies. 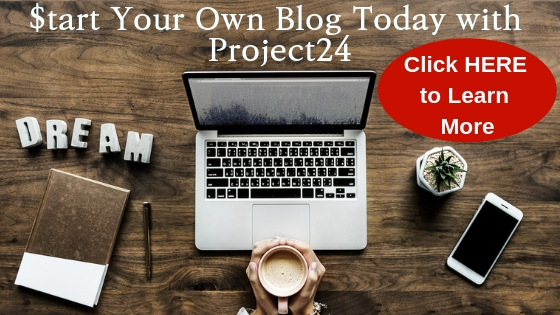 You can expect to find reliable and up-to-date content from leading sources like National Geographic, Scholastic, NPR, NASA, AP Video News, and more. Research In Context sources are aligned with national and state curriculum standards for grades 6 to 12 in language arts, social studies, and science. Click here to go to the MMS LMC Gale Databases > Choose Research in Context from the bottom of the list. Contact me if you need the log-in credentials.